As you may be aware, Google has been having problems managing YouTube lately, especially when it comes to advertising. The famous 'Adpocalypse' taking a toll on many creators' incomes has been a prevalent topic, but Google has been seemingly oblivious to another major problem - disturbing videos specifically targeting children. These videos take on many forms, but they usually involve characters children are familiar with, so the videos will appear in searches from kids. 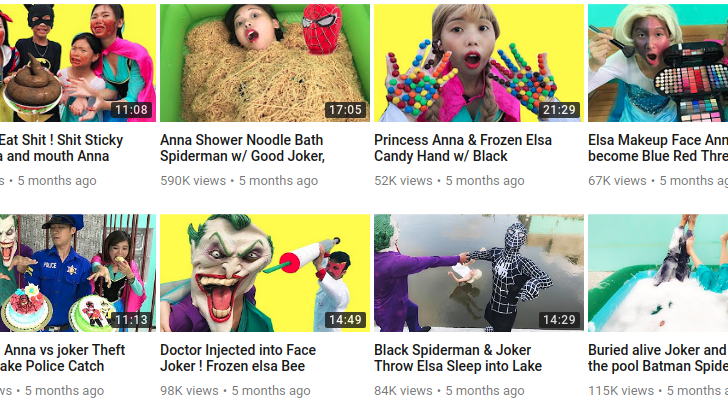 Some of them are live-action videos of people dressed up as these characters (Spider-man, Elsa from Disney's Frozen, etc), some show kids unwrapping 'Kinder eggs' with toys inside, and others are just re-uploads of TV shows. This is an actual video with 2.5 million views. Perhaps the most bizarre category is 'nursery rhyme videos.' Some channels pump out animated videos with a common rhyme playing in the background. 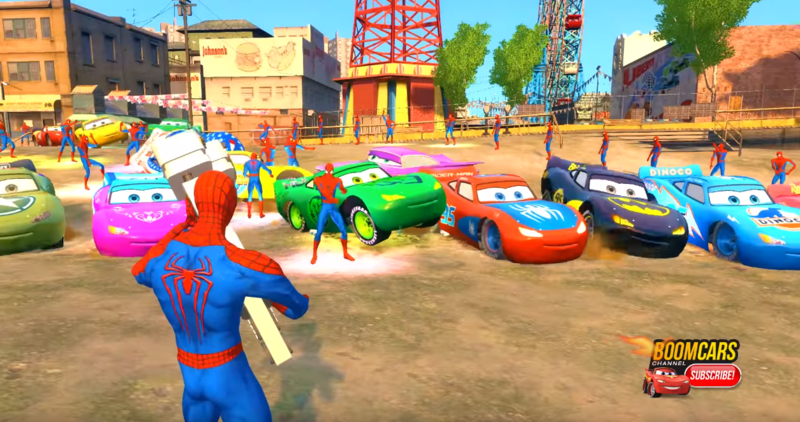 Some of them are 2D animated, with the channel swapping out characters/backgrounds with every upload, and some are just heavily-modded GTA IV footage. It's not uncommon to find these videos with hundreds of thousands, if not millions, of views. While this problem has existed for at least a year, it only gained widespread attention after a New York Times report and a blog post on Medium. Google said in August that it would no longer allow YouTube videos which "made inappropriate use of family friendly characters," but now the company is taking things a step further. YouTube is rolling out a new policy that age restricts videos when they are flagged, according to YouTube director of policy Juniper Downs. After they are flagged, a human will look at the video and determine if it is in violation of the new policy. If so, it will be age-restricted, making it unavailable to the YouTube Kids app and blocking it from advertising. While this new policy probably won't make much of a dent in these channels, YouTube is trying to walk the fine line of allowing videos to use characters from other copyright holders (aka Disney) while still making sure kids won't stumble upon these types of videos. Hopefully we'll start to see the effects of this change soon.